Prescribe the exercies you want practiced. 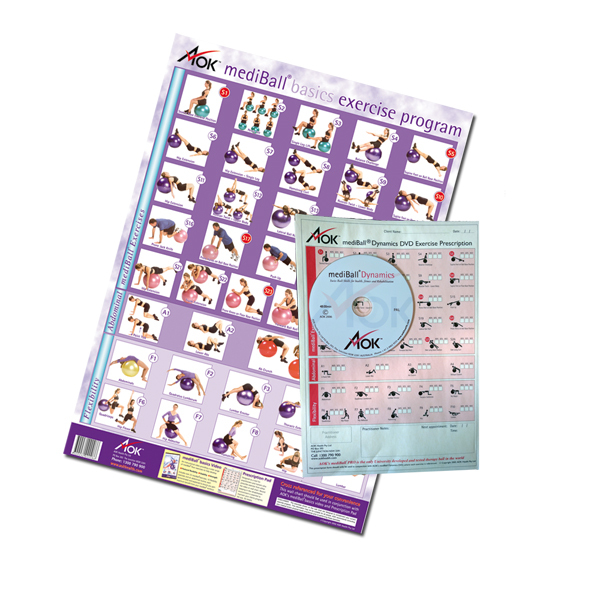 Include a DVD and Wallchart for Your Client. This kit is perfect tool for any practitioner who includes the swiss ball exercisesl in their exercise or rehab regime. 10 x mediBall Celloglazed Wallchart. All exercises are numbered and in the same sequence for easy cross referencing.